Massey Klein is pleased to present The Guardians, Matteo Pugliese’s first solo exhibition with the gallery, opening May 18th. 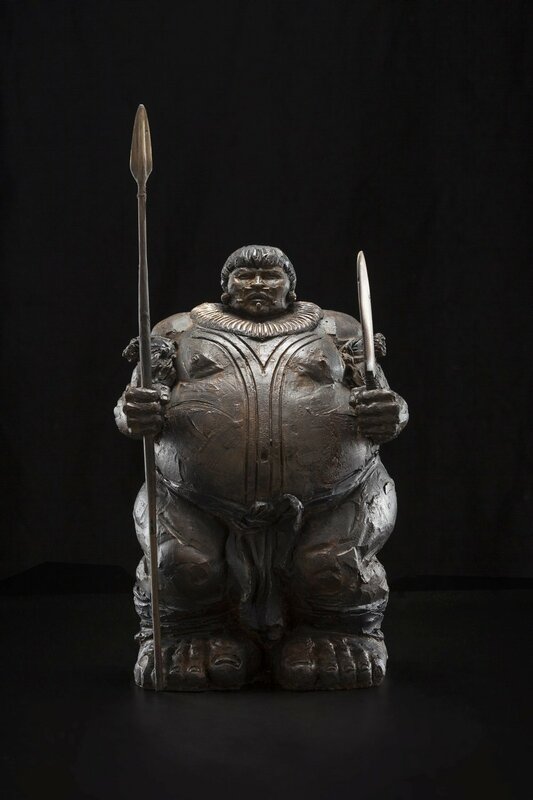 The exhibition features the largest collection of the artist’s Guardians shown together alongside new bronze sculptures in his Extra Moenia series. Following The Guardians exhibition at Massey Klein Gallery, the sculptures will travel to the Boise Art Museum for the artist’s solo exhibition, Matteo Pugliese: The Guardians. The exhibition at Boise Art Museum will open on Saturday, August 11, 2018 and will run until Sunday, January 6, 2019. This is the artist’s first museum exhibition in the United States. For more information about the exhibition, please email Ryan Massey at info@masseyklein.com, or contact the Museum directly: Boise Art Museum, 670 Julia Davis Dr, Boise, ID 83702; T: 208-345-8330. Throughout history, humanity has crafted objects designed to provide protection and wellbeing to its owners and their sacred spaces. During ancient Roman times, deities knowns as Lares and Penates were created to watch over the home. Today, we carry talismans to bring us guidance and protection. The Guardian sculptures in the exhibition are humble yet robust. Each work is cast in bronze or sculpted from marble. 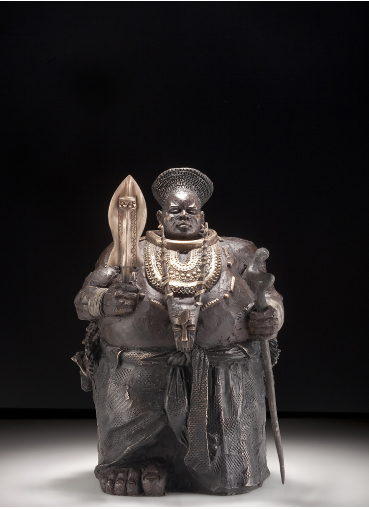 The sculptures vary in height ranging from roughly fifteen inches to thirty inches. 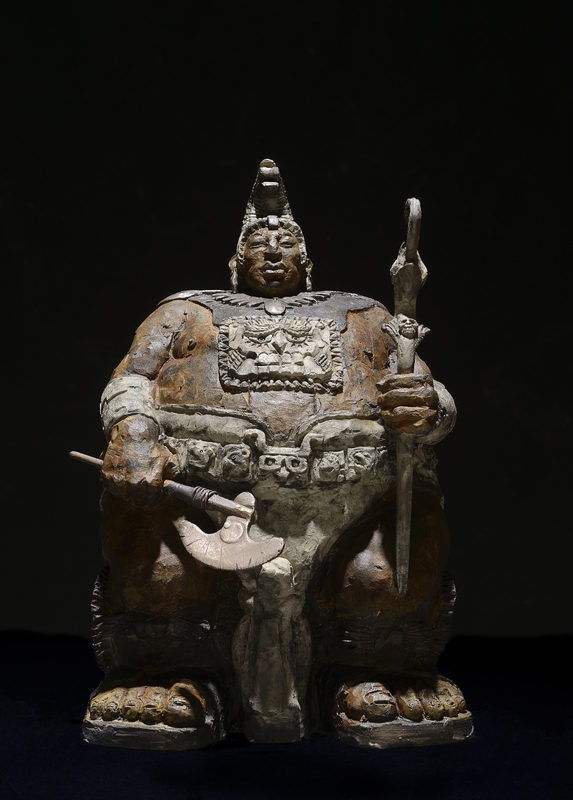 They possess a stoic, outward gaze, hefty mid-section and large, exaggerated feet. They are strong and grounded, centered and calm, and seem immovable. The series possesses a collective inner awareness, and though inanimate, expresses a knowing consciousness. Representative of various cultures, Pugliese has adorned each body with meticulous detailing on the armor, highlighting the individual nature of the sculptures. 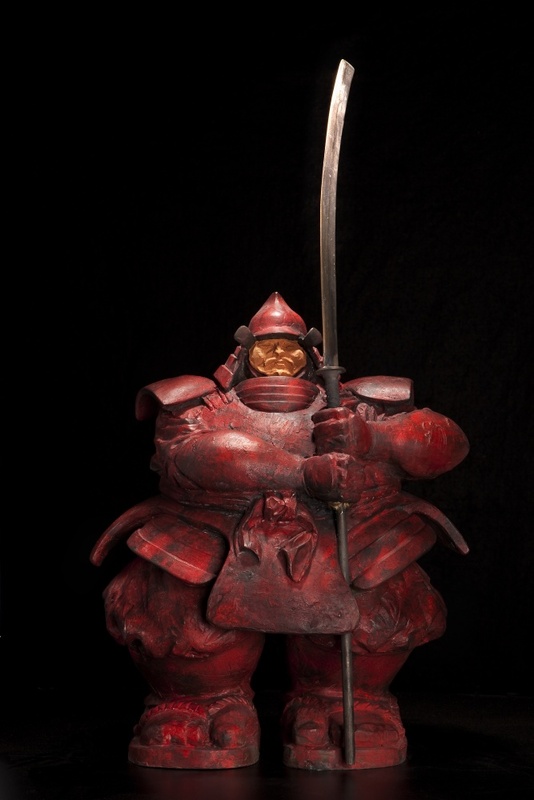 The Guardians reveal distinct features: hand-carved marble florets, chainmail, intricate lacing of paneled samurai armor, and painstakingly hand-applied coins. 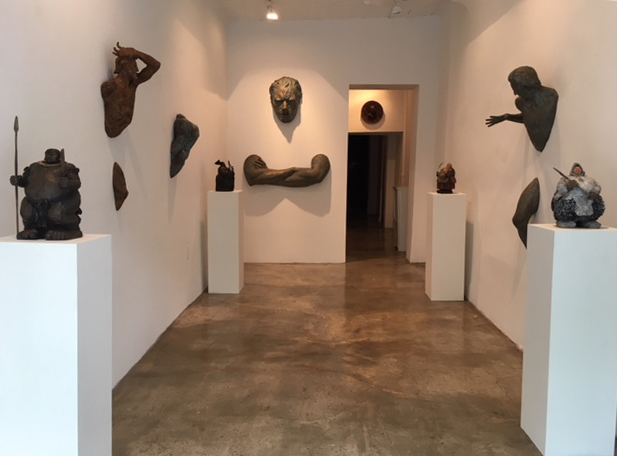 Individual hand-carved terra cotta faces and the patina of each work further speaks to the heritage behind the figure, producing an emotional quality that establishes its unique identity. An earthy rust for the Native American Guardian, powder white accents of snow for the Inuit Guardian, black and brushed bronze accents for the Samurai Guardian. Powerful yet hesitant to use violence, they stand guard ready to protect us. Matteo Pugliese (b. 1969, Milan) lives and works in Milan and Barcelona. He is a figurative sculptor working in bronze and marble. Today his works are on permanent display in galleries in Italy and major cities throughout the world: New York, Rome, Hong Kong, London, Antwerp, Lugano and have been shown at some of the most important Italian and international art fairs such as the Hong Kong Art Fair (Hong Kong), ArtFirst (Bologna), Arco (Madrid), and Fiac (Paris). In recent years his pieces have been sold with considerable success at some of the world’s most prestigious fine art auction houses including Christie’s, Sotheby’s, Bonham’s, and Dorotheum.